As you all know, the IBPS PO Exam 2019 is approaching very fast. You have only a few months remaining to accomplish your dream of qualifying the Bank PO Exam. I understand your qualms over IBPS PO preparation 2019. So here I’m with few preparation tips and tricks that may ease out your IBPS PO exam preparation and also help you to grab the IBPS Score Card within just 45 Days. Yes! If you have a strong will to make your dream come true, then only 3 months of dedication and studies with smart guidance, may lead you to qualify this toughest competitive banking exam. Fill up your knowledge cart with Free IBPS PO Learning Stuff like – Previous Years Question Papers and Syllabus. In this blog, I’m going to discuss the complete IBPS PO Study Plan that you should follow during these ambitious months. Also check the Topic Wise Bank Interview Preparation Guide to prepare for the IBPS PO Interview Round. This is the most important phase in the IBPS PO Recruitment. So, candidates must be well prepared for it. How to Crack IBPS PO 2019 Exam in 45 Days? As per the latest IBPS PO 2019 Notification, to solve three sections in Prelims Exam, candidates will get only 20 minutes for each section. Descriptive paper was introduced last year in IBPS PO Mains which is considered a tough nut to crack. Check the Actionable Tips to Crack IBPS PO Descriptive Paper 2019. Here we have prepared a smart IBPS PO study plan for you to execute your IBPS PO 2019 Preparation in the right direction. Please have a look! 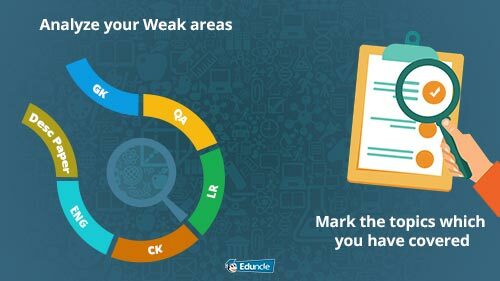 Try to find out the areas in which you think that you are less skilled. Try to be more focused and make efforts to improve yourself on those specific areas. For a smooth start, you should prioritize all the important topics of each section on paper. Take one topic of each section every day and finish it till the end of the day. Those topics which you have completed by your end, should be marked with some specific symbol. Repeat this activity until you have covered all the topics of IBPS PO Exam Syllabus. Also, visit - Important banking terms – SBI, IBPS PO/ Clerk/ SO/ RRB Exam. To notch up the IBPS PO qualification, you should be very clear about every single concept. Also, go with the short tricks to solve questions as you will have to solve many questions in less time duration. Eduncle is providing customized IBPS PO Study Material packages to make your IBPS PO Exam Preparation easier. With the help of these Bank PO Study Material and books, you can gain more knowledge and learn the important things which you will get nowhere else. To get the study material for Bank PO, visit here - IBPS PO Study Material Free Download PDF. 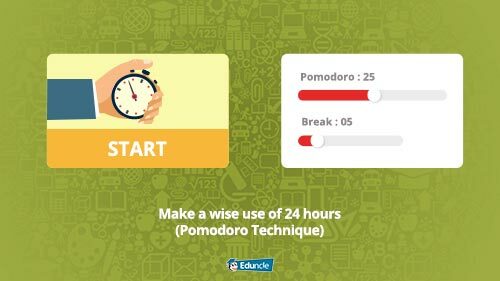 It is advised to use Pomodoro Technique while preparing for any exam as it is a healthy habit for any aspirant to take short breaks in between the studies. The Pomodoro Technique is a time management technique that helps students in completing their tasks faster with less mental fatigue. In Pomodoro technique, you have to divide your studies hours in smaller chunks of 25 minutes and then take break for 5 minutes. Each 25-minute work period is called a ‘pomodoro’. After every 4 Pomodoro you need to take 15 minutes break. So manage your time efficiently and complete your short term goals on time. Also, read - Just a Single Minute can Change your Life | How to Optimize your Time? Those who can attempt all the 200 questions and solve them with complete accuracy within 2 hours can conquer the exam. IBPS PO qualification requires great speed skills to attempt the questions and solve them as quickly as possible. 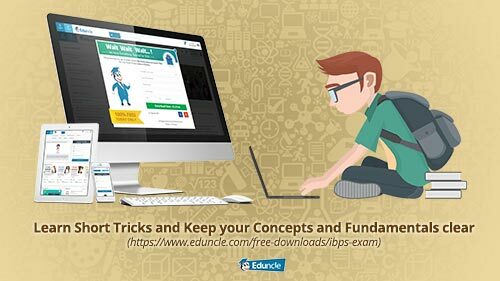 Eduncle has made it available for candidates to download the IBPS PO Previous Year Question Paper for free and solve them in order to increase the speed and accuracy as well. You also get the best material for English preparation for IBPS PO by clicking on the following link - IBPS PO Study Material PDF. Yes! Practicing all the 5 sections again and again can only take you near to perfectionism. The more you will practice, the more you will be able to refine your knowledge. 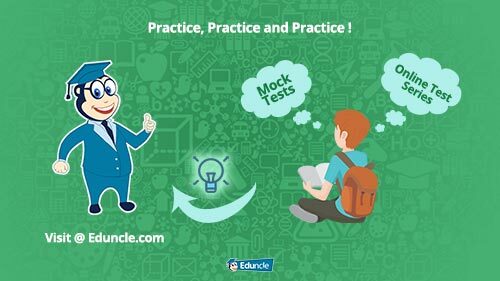 At Eduncle, you can be benefited with the free study stuff and online mock tests which will help you to practice for IBPS PO 2019. Please have a look at Eduncle Store! Revision is the best exercise of mind to recall everything which you have learnt the whole day long. So it is necessary to revise daily for memorizing the knowledge gained. Please have a look at - 10 Simple Habits To Boost Your Memory & Brain Power. 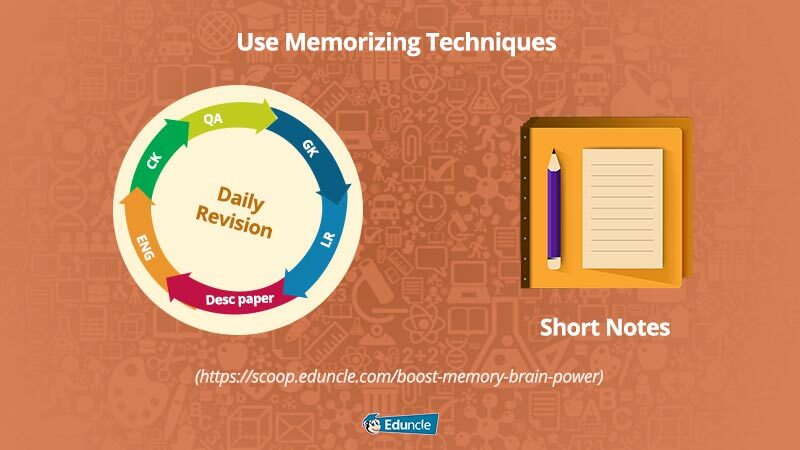 #Tip- You can prepare short notes so that when you start with the revision, you can get all the stuff at one place. Self-confidence is a key element in any exam. The more you are confident the more you feel relaxed and calm. And this is how you can attempt the questions with patience and confidence. 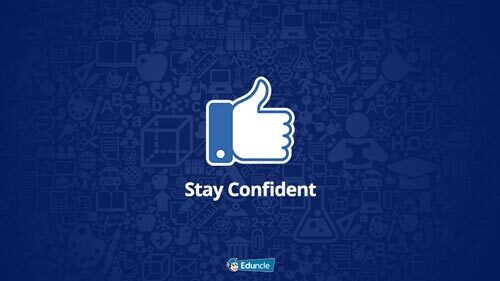 So stay confident, stay charged and rock the exam! 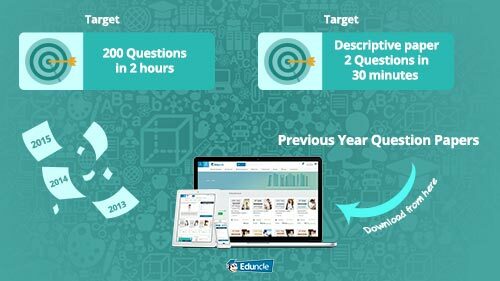 Eduncle also provides useful tips to accomplish IBPS PO Interview Preparation. Please visit the following link for more details – How to Prepare for IBPS PO Interview? How to prepare for IBPS PO Descriptive Paper 2019? The IBPS PO Descriptive Paper contains two questions, which carries 50 marks and the duration for this paper will be 30 minutes. To start your IBPS PO Descriptive Paper 2019 preparation, you must first work on your English Language because the paper tests you, how well you can articulate information. You must make a habit of reading English Newspaper daily. This will help you to improve your English Language and to form critical views about current and social issues. During your preparation, you must write at least 1 letter and 1 essay daily, this will help you to increase your writing speed and you will be able to complete the paper in 30 minutes. Whenever you come across a new word, find its meaning, synonyms, antonyms, and different usages and try to make sentences with the new word. While writing, you should avoid repeating the same word. Always use the alternative words. Practice using as many model test papers as possible. From here, you can download the IBPS PO Descriptive Paper Model test paper. Always carry a Dictionary with you. You can also download the Dictionary apps for your mobile devices. Gain from the best in-class IBPS Learning material with the amazing deals offered by Eduncle! Check it out now. Hope you like above tips! If you want to share any reviews, you can post your comments below. sir i want to crack this.so i need your help.please guide me.how i started and waht is the best way all of these so please guide me. What should be my last minute study strategy? There are many pdf files available in eduncle. check those. There is not any study material even after sign up on your site. There is only sample question paper. You have given wonderful information!